We are currently sold out. If you would like to placed on the waiting list, please click the 'register' button above. Sign–In will begin at 4pm on Friday, July 30, 2010 at our facility in Glassboro, NJ. Your weekend of fun and fitness will include two Cathe classes on Friday, three Cathe Classes on Saturday and one class on Sunday Morning. A complete schedule of events will be posted at a later date on this site. Your registration includes 4 meals: Friday Dinner, Saturday Lunch & Dinner, & Sunday Breakfast. We will post the full menu at a later date. You can receive a special 'Cathlete Room Group Rate'. (Details on how to obtain your special Group Rate) The Fairfield or Residence Inn has everything you need and so much more. What to bring on your "Fitness–Get–Away"
These Flickr pictures are taken from our San Diego, CA Tour. 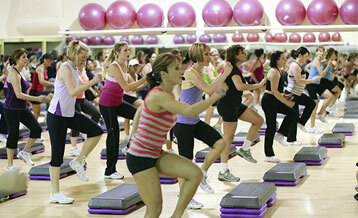 Four Seasons is a 60,000 sq ft club located in Glassboro, NJ. 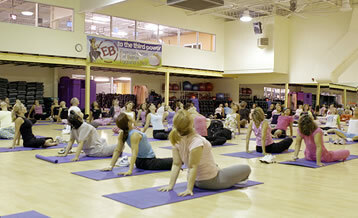 We take pride in being one of the best equipped health clubs in the country. Not only do we have twice as much equipment than almost any other club you’ve seen, we also keep our equipment in near perfect working condition. 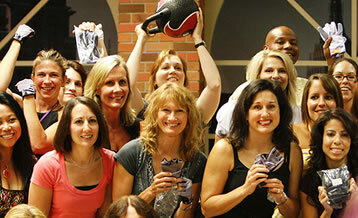 Four Seasons is home to the area’s BEST classes and instructors. 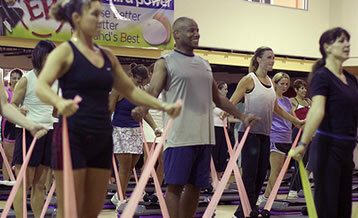 We feature classes like Zumba, Yoga, Pilates, High Step, Spinning, Kickboxing, Tai Chi, Step Aerobics, Body Works, and more. Our class schedule is always expanding, and it’s our goal to provide more classes at the most convenient times than any other club, period.